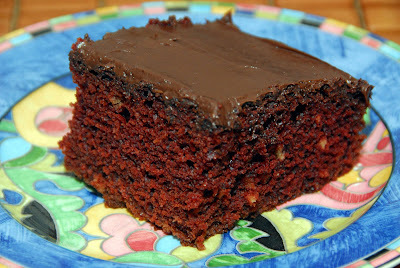 My favorite chocolate cake is my mom's recipe for Crazy Chocolate cake AKA Wacky Cake. I was doing a search to see if anyone else made it and I was surprised to find an entry on wikipedia. It is commonly believed Wacky Cake may have been created as the result of rationing during World War II, when milk and eggs were scarce. Active ingredients in wacky cake include flour, sugar, cocoa powder, baking soda, vegetable oil, white vinegar and vanilla extract. Some recipes add brewed coffee as an additional ingredient. 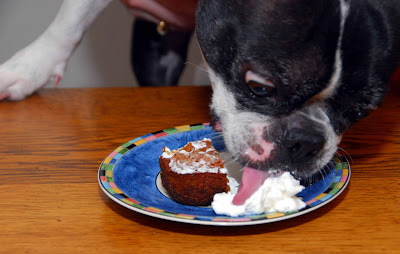 The cake may be topped with icing or confectioner's sugar, or even served plain. It is not known where Wacky Cake first originated, or who created it. 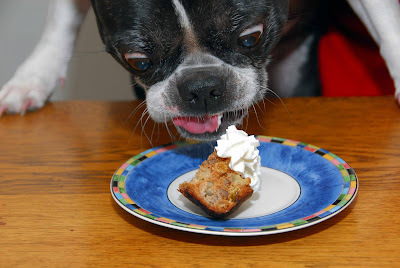 However, the cake is considered a popular delicacy at bake sales in numerous rural regions of the United States, particularly Southern Maryland, which is thought to be where it originated. Mix everything up and bake 30 to 45 minutes at 350. I got really hungry for red beans and rice this weekend. I'm not referring to the kind that I usually make with minute steaks, but the kind you get in New Orleans. 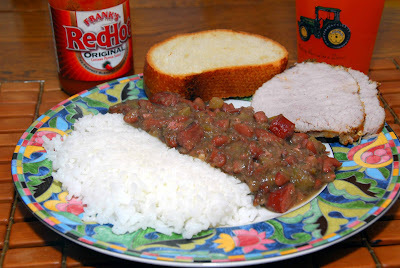 Red beans and rice is an emblematic dish of Louisiana Creole cuisine (not originally of Cajun cuisine), traditionally made on Mondays with red beans, vegetables (onion and celery), spices (thyme, cayenne pepper, and bay leaf), and pork bones left over from Sunday dinner, cooked together slowly in a pot and served over rice. It is an old custom from the time when ham was a Sunday meal and Monday was washday. A pot of beans could sit on the stove and simmer while the women were busy scrubbing clothes. Similar dishes are common in Latin American cuisine, including moros y cristianos and gallo pinto. I've been to New Orleans a couple times and I always get a plate of red beans and rice. The last time I was there was before Katrina. Easy E, W and I went down to Grand Isle State Park. 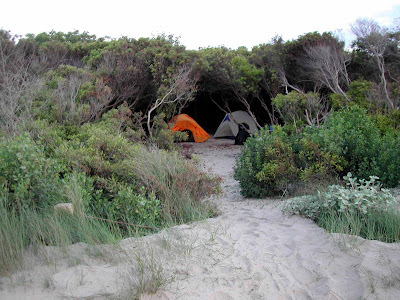 We camped right on the sand. 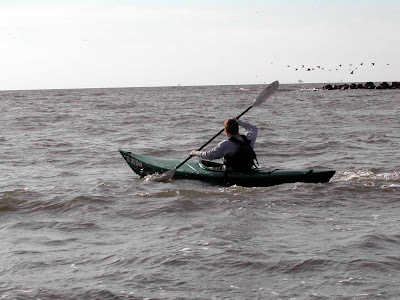 We brought my kayak down so we did a little kayaking in the gulf of Mexico. Then we headed up to New Orleans. 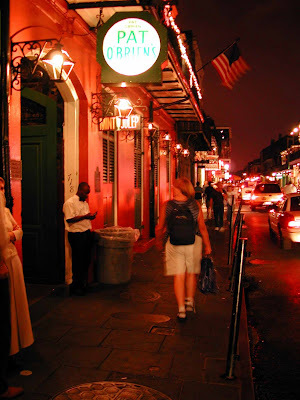 I always eat at this little restaurant right next door to Pat O'Brien's. 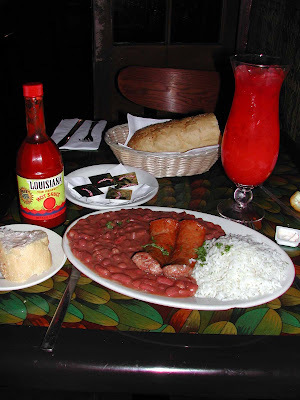 I don't have a photo of the restaurant but I have a photo of their red beans and rice! I have a few recipes for red beans and rice. I decided to try a new one by Emeril, but I modified it a bit. I don't like the way hamhocks smell when they are cooking, so I substituted ham instead. In a large pot, heat the bacon grease over medium-high heat. 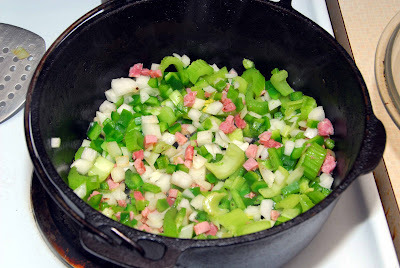 Add the onions, celery and bell peppers to the grease in the pot. This is the Holy Trinity of cooking! Remove from the heat. Take about ¼ of the beans and blend in the blender. Dump the blended beans back into the pot. Continue to cook until the beans are tender and creamy, 15 to 20 minutes. Remove from the heat and remove the bay leaves. Want something really simple and tasty? Try some cheese rites. Brown the hamburger and the onion. Drain off grease and water. Add in the cheese soup and milk. Heat up and simmer for a few minutes. Serve on a bun. 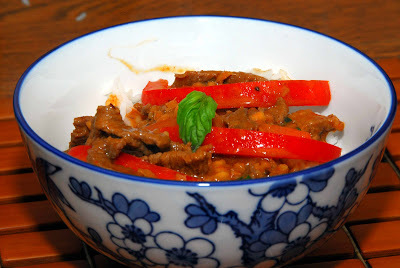 The other night we were hungry for a Thai curry dish. One of my favorites is Panaeng curry. Here is a really tasty recipe. Heat a saucepan over medium heat. Add the oil and the curry paste. Cook 3 to 4 minutes, adjusting the heat to keep the paste sizzling gently without popping and splashing. Add the beef and cook 2 to 3 minutes, stirring well to coat each piece. Stir in 1 cup of the coconut milk. Bring to a gentle boil and cook for 10 minutes. Finally add the remaining coconut, bean sauce, sugar, salt and peanuts. Cook for about 5 more minutes. Taste and adjust salt and sugar. Transfer to a small bowl. Garnish with basil. 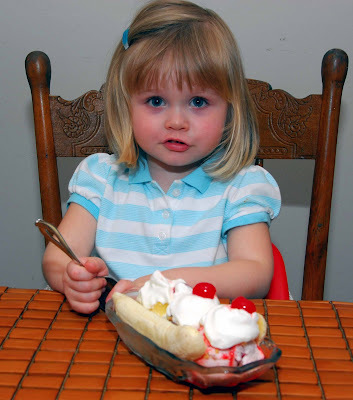 Our little one just had her first banana split! As with any iconic dish there is considerable controversy as to its origins. I think it likely made its debut in Pennsylvania but who really knows. There is no controversy about what makes up a banana split. You need a scoop of strawberry, a scoop of chocolate and a scoop of vanilla ice cream. Top the vanilla with crushed pineapple, the chocolate with chocolate syrup and the strawberry with strawberry syrup. Then add some crushed peanuts. Add a dollop of whipped cream and a cherry to each scoop and add a split banana. Shortly after the photo was taken our little one got her first ice cream headache. 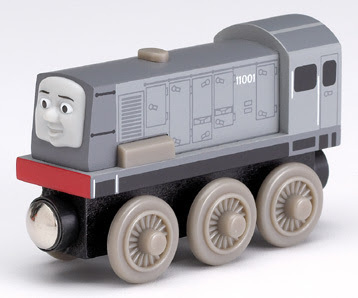 Damngoodfood votes Dennis the Lazy Engine as the best engine in the Thomas and Friends series. If you don't know who Dennis is, have a 3 year old and you soon will. 3 year olds love Thomas and Friends. Dennis is a lazy diesel who will do anything to get out of work. To disguise this, he takes advantage of any opportunity to create an excuse and avoid a decent day's work. At the recommendation of my naughty uncle with the wood burning stove we have been watching the miniseries Centennial. This ranks right up there with the all-time best TV events. It is loaded with great actors and the scenery is amazing. It isn't officially available on DVD yet but if you look around you can find it. Our other favorites in the miniseries genre are Shogun, I Claudius, Lonesome Dove and the first two in the North and South series. I am sure I am forgetting one. 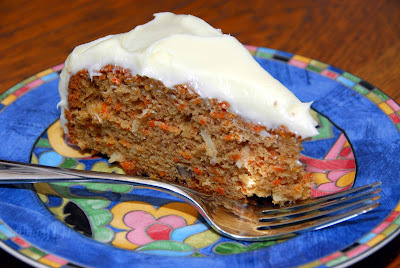 On Saturday my wife made Alton Brown's recipe for carrot cake. We changed the recipe by adding 1/2 cup shredded coconut and 1/4 cup walnuts. It was tasty. We can't have all this cake sitting around or we'd get huge so I brought it to the ER where I moonlight. It was promptly gobbled. One of my professors is big into woodturning. He has a workshop with 4 of these huge lathes in his basement. 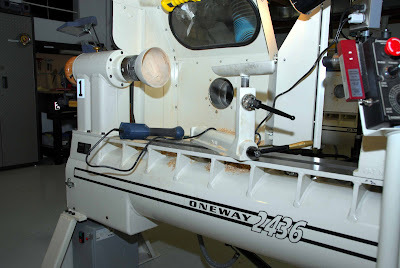 When I was a kid my grandpa had a lathe that I used to use. 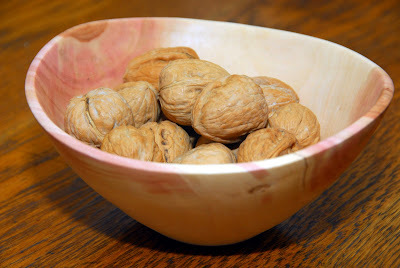 My professor has been teaching me how to turn more complicated things like bowls. My professor knows a guy who cuts trees for a living and he brought by some fresh pieces of wood one time. The first one I turned was out of green dogwood. It is actually a lot easier to turn green wood but when its done it warps into a sort of oval shape. I like the look of the warped wood a lot because it looks unusual. 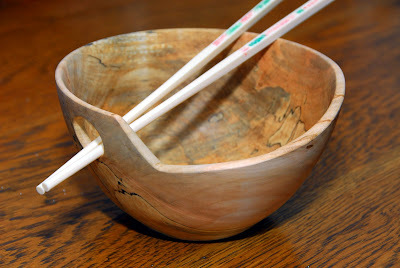 My professor wanted me to make a salad bowl next but I wanted to make a noodle bowl because we eat so much Thai food. On Saturday I turned a noodle bowl. It was out of dry maple so it didn't warp at all. You can see it on the lathe in the top photo. After turning it I used a saw to cut the wedge out of the rim. Then I drilled the hole for the chopstick rest. I am in the process of finishing it so that I can eat out of it. After my last wet sanding I have to wait at least 6 weeks to use it. Expect to see it in future posts a couple months from now. Our little one spent her first night in her new bed. She liked it better than I thought she would. 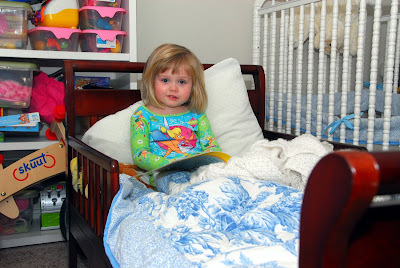 We left the crib set up the first night just in case she wanted back in it. 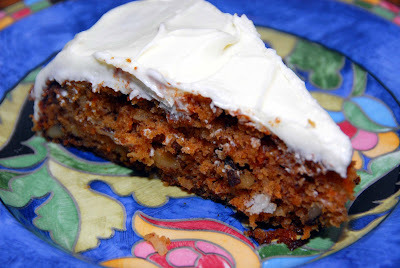 The carrot cake was delicious and is currently sitting in my fridge about half gone. 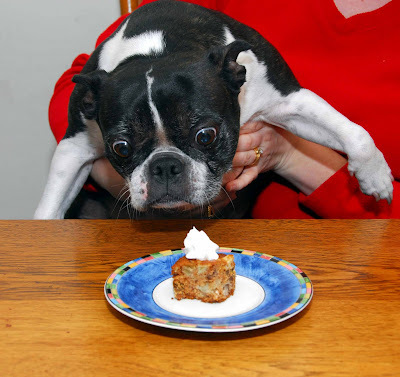 It comes pretty close to the carrot cake that I had back in Iowa. A reader was kind enough to send me a tip on another recipe to try. Alton Brown's recipe is supposed to be really good so I am going to make it this weekend. The only thing I will do different is I will add shredded coconut and black walnuts because those were two very obvious ingredients in the Iowa carrot cake. Recipe and results to follow. When we got back from our Iowa trip we were at a serious Asian food deficit. 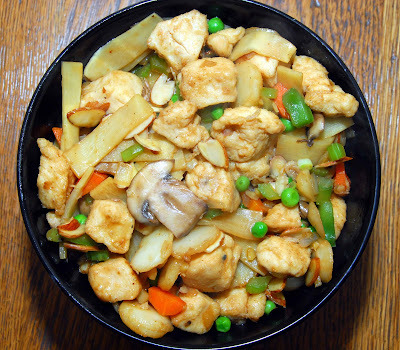 We looked through the Potsticker Chronicles and found this tasty chicken dish. Cube the chicken and combine with the egg white and cornstarch mixture. Mix well, the batter should be milky in color and velvety in consistency. Heat 2c vegetable oil in a wok to 280 degrees or until bubbles rise from a chicken piece placed in the oil like that of bubbles in a champagne glass. Add the chicken and cook about 7 minutes, stirring slowly until white in color. Remove and drain in a colander or on paper towels. Combine the sauce ingredients in a pan and heat to a boil. Reduce heat to very low and reserve. Heat the remaining oil in the wok and stir fry the vegetables for 5 minutes or until bright in color. Add the chicken and stir fry for about 30 seconds. Add the heated sauce. Stir the cornstarch mixture back into the solution and add it to the sauce. Bring to a boil. 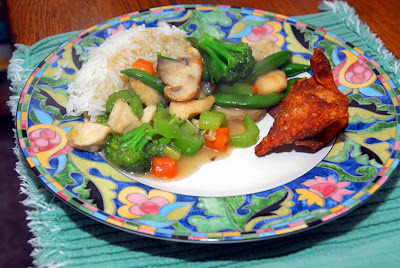 Toss and serve over steamed rice. Our furry one just turned 6. 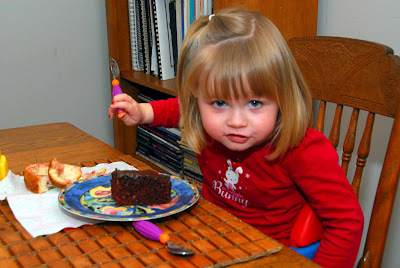 She got a small piece of cake. 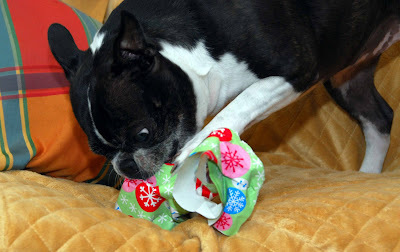 After she ate her cake she opened presents. When I was back in Iowa we ate at a restaurant that had really good carrot cake. It was so good, in fact, that people at the table asked if they could buy a whole one. Intrigued, I decided to try my hand at carrot cake. I decided to make 1 layer of a 2 layer cake as a taste test. The cake at the restaurant was served chilled and with a cream cheese frosting. I found a basic recipe online and modified it to be tastier. Combine all ingredients in a bowl and mix until smooth. Bake in a 9 inch greased cake pan at 350 degrees for about 1/2 hour until a toothpick inserted in the middle comes out clean. Let cake cool and ice with cream cheese frosting. Place in the fridge to cool. I learned recently that there is a lot of controversy as to where the reuben sandwich was invented. Apparently there is mounting evidence that it was actually invented in Omaha, Nebraska! You can read all about it by clicking the above link. 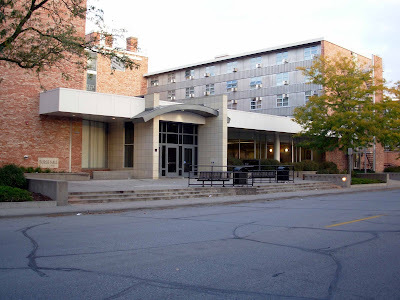 When I was in college we used to eat at Burge Hall in the cafeteria. They served reubens that were a lot like my mom's - corned beef with kraut on pumpernickel bread. They added Thousand Island Dressing for a sauce. I used to get a couple of those and a bowl of Campbell's Bean with Bacon soup. Our dorm room smelled great on those days. I made some homemade Russian dressing (see recipe below) and whipped up some Reubens. We got some Boar's Head corned beef at the grocery store, some kraut and some swiss cheese. The Boar's Head is actually quite good. For old time's sake I had a bowl of bean soup. I just love reuben sandwiches! Many people insist that a reuben sandwich needs to be served with Russian Dressing. 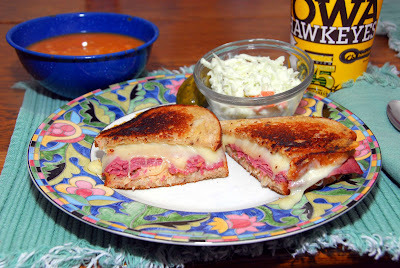 Most of the reubens I was served growing up came either with no dressing or with Thousand Island Dressing. 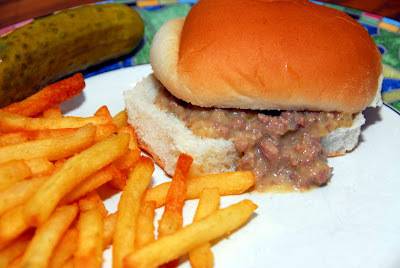 When my mom made them she used to use dark pumpernickel bread, sauerkraut, Carl Budding corned beef and processed Swiss cheese slices. I don't ever remember her putting any dressing on. I decided to try a reuben served with Russian dressing, but the choices at the grocery store for Russian dressing we less than impressive. I did a little research into Russian dressing. I decided to make one with homemade mayonnaise. I selected a blend of ingredients that I have thought were especially tasty when served on a reuben. 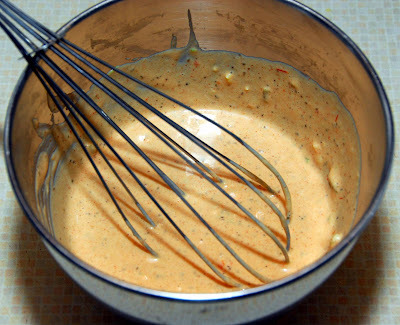 This is not true Russian dressing, just my version specifically designed for reuben sandwiches. First you need to make homemade mayonnaise. It is easy, don't be scared. To warm the egg to room temp, put it in a bowl and cover it with warm water. Let it sit for just a few minutes. Dump those ingredients in a blender and turn it on. Through the hole in the lid of the blender pour the oil mixture in a slow, steady stream. Blend until it thickens up like mayo. When I was a kid we used to go to Sea Dragon for dinner at least a couple times a month. I always got Green Pepper Beef with an egg roll. Sea Dragon had better egg rolls than Wanna's, but Wanna's had the best wontons. My dad always got subgum sizzling rice extra hot. 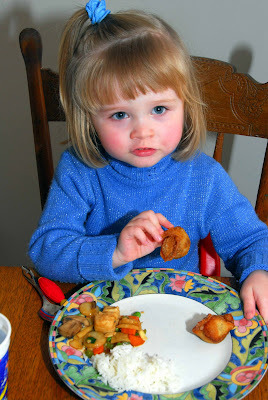 I remember my sisters being very fond of almond chicken ding. 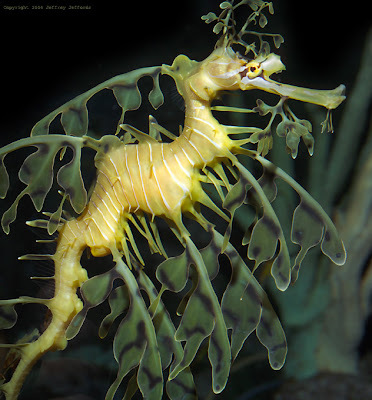 My wife remembers getting that at Sea Dragon as well, so I decided to do a little research and come up with my own version. On the subject of Chinese food, I've eaten Chinese food all over the country. Several places stand out including the Chinatowns in New York, Chicago and San Francisco. 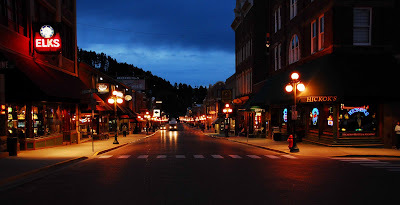 We found a really good Chinese place above Miss Kitty's in Deadwood of all places. It had pretty good food and a really nice decor. 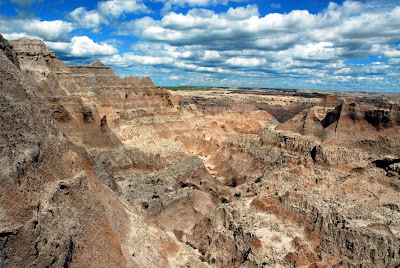 It really hit the spot because we had been out stomping around the Badlands all day. Here is a photo I took after hiking/climbing for about an hour. 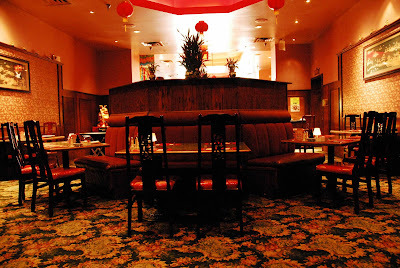 So if you are ever really hungry for Chinese food and you're near Deadwood, stop by the Chinatown Cafe, on Main Street above Ms. Kitty's Casino. 1) Combine chicken, egg white, corn starch and water. Heat oil in a saucepan to 280 degrees (use a candy thermometer). Drop in the chicken a little at a time and cook until the chicken is done with no remaining pink - about 7 minutes. 2) Heat a wok, drop in a little oil. Drop in the garlic and ginger and stir fry until it just starts to soften. Saute the onion, green pepper, celery, carrot, and mushrooms until mushrooms are soft. 3) Combine all of the ingredients for the sauce and stir. 4) Add the cooked chicken and all of the rest of the ingredients to the wok and stir. Cook until heated through and the sauce thickens up a bit.